Unmanned aerial vehicles (UAV’s) – or drones as they are commonly called – are a promising new tool for conservation professionals. The technology is readily available and innovative applications ranging from acquiring real-time aerial imagery to detecting flora and fauna are being developed by conservation organizations around the world. In Central and Western New York the Nature Conservancy is testing the efficiency of drones to monitor remote conservation lands, invasive species and wetland restoration outcomes. The new drone – a micro UAS at just 2.75 pounds – is equipped with an ultra-high definition camera and safety features including automatic return to home functionality. Staff have been busy testing the drone’s capacity since its acquisition in February 2016. Late winter flights at a wetland restoration site in Ontario County produced 3D wetland elevation maps and detailed videos of site conditions. A fly-over of the Thousand Acre Swamp preserve in Monroe County gave land managers an in depth view of the forested floor of the expansive maple and ash wetland. The Nature Conservancy will also be working with the SLELO PRISM to test the drone’s capacity to detect invasive Japanese Knotweed (Fallopia japonica) along stream corridors in Northern New York this coming summer. Similarly, The Adirondack Park Invasive Plant Program PRISM is in the early stages of employing a micro UAV to detect patches of invasive Phragmites (Phragmites australis). Multiflora rose (Rosa multiflora), honesuckle (Lonicera spp), and other invasive species that leaf out early in the season are potential candidates for easy detection by UAV fly-overs. Drones – and in particular micro UAV’s – can be an efficient tool for: 1) Detecting natural resource conditions, and 2) Producing a diversity of real-time 2D and 3D maps. 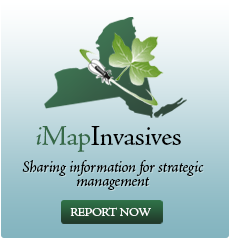 In addition, detection of invasive species is a particularly promising area for drone applications. Other potential uses include: easement monitoring, trash dumping, forest mortality surveys, flood assessments and even search and rescue. With the technology readily available and reasonably affordable (micro UAV’s typically range from $500 to $5000) conservation practitioners have a new multi-tool to hang on our belt. Pictured below the new 2.7 pound UAV taking flight (Mat Levine).